See it now, offers dealt with same day as written. Click on the video tab to take a personal tour of this beautifully renovated one owner home in a choice location! Beautiful hardwood floors throughout the entire main floor. South facing living room and kitchen with huge updated windows for lots of natural light. Renovated kitchen with oak cabinetry and large pantry. Spacious bedrooms with triple pane windows and hardwoods. The basement is fully finished with large rec room and 3 piece bath. Also has a large laundry and storage room with updated High E furnace and heat recovery ventilator. 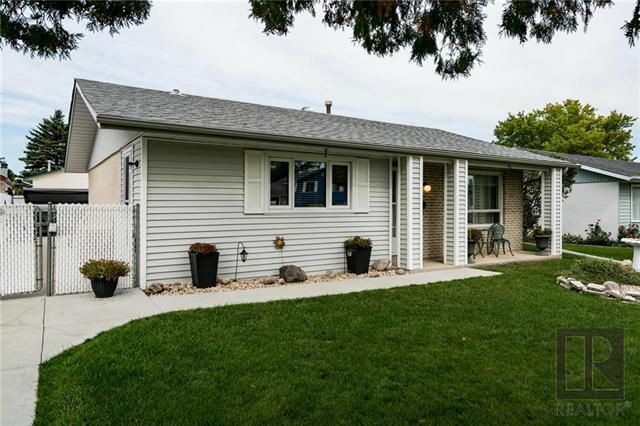 Everything about this home is impeccable including the beautifully landscaped yard with patio and insulated 24x24 insulated garage with 9 foot ceiling and 8 foot high door. This entire property shows beautifully, don't delay, see it now!